Born Edward Levy, he became the editor of the Daily Telegraph in 1858, three years after his father, Joseph Moses Levy, purchased the paper. 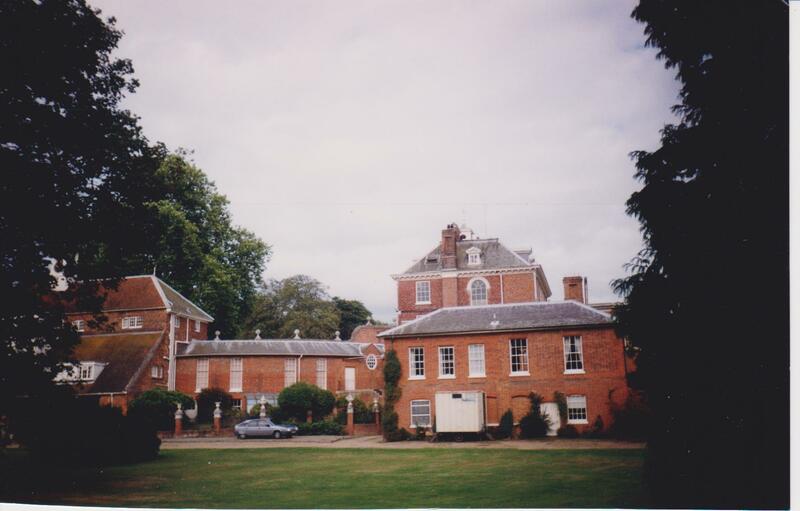 As a requirement of his uncle’s will, Edward changed his name in 1875 from Levy to Lawson, thereby receiving the inheritance with which he bought Hall Barn. 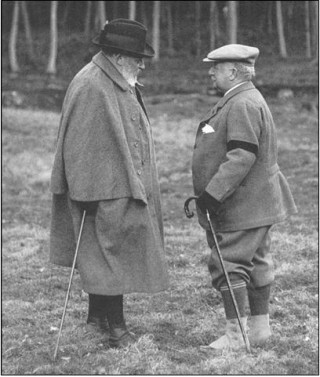 He was made a baronet in 1892 and granted a peerage in 1903, taking the title Lord Burnham. 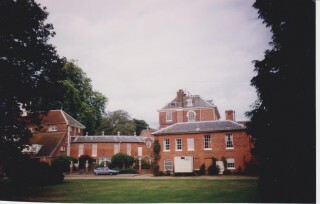 Edward Lawson acquired the Hall Barn Estate in 1881 and with it the title of Lord of the Manor. He made Hall Barn a centre for country pursuits and, over the years, hosted many celebrated gatherings there. A new ballroom wing was added for his son’s coming of age ball, and annual shooting parties were attended by influential men of the day, The prince of Wales (later King Edward VII) stayed there every year from 1892 to 1910, and King George V also visited. At the time of purchase the estate owned seven farms, Harriers, Woodlands, Hyde, Hillmotts, Overs, Holloways and Wiggeston. Lawson consolidated the arable land into fewer farms, with the better farmhouses being let to upper middle class families, whilst at Harriers Farm he established a model dairy with a herd of Jersey cows. Edward Lawson dominated the social and economic life of Beaconsfield in a similar way to the Waller family in the 17th and 18th centuries. Unlike his predecessors he bought up property in the four ‘Ends’ of the town, including cottages, shops, small factories and even a few public houses, the greatest concentration of ownership occurring in Windsor End. This changed the relationship between Hall Barn and the local community. He then spent large sums of money improving some of the larger cottages, but less on many of the smaller ones which were in a worse condition, and this naturally gave rise to some criticism. However, overall, he was seen as an important local benefactor. One of his earliest contributions to the social life of the town was the provision of the Burnham Hall (originally referred to as the New Hall) in 1886 which was used as a venue for social events in the community. To mark Queen Victoria’s Golden Jubilee in 1887 Lawson paid for 401 commemorative mugs in Doulton china which were distributed among the townspeople. Ten years later, for the Diamond Jubilee, he donated a bathing pool and changing areas in New Pond Meadow to be used by the local men and boys. As a founder member of the Urban District Council, Edward Lawson supported the construction of a full sewerage system and made land available from the estate so that work could begin in 1898. During an outbreak of typhoid the following year he placed the new community hall at the disposal of the Council as a temporary hospital, and this was repeated in 1905 during an outbreak of scarlet fever. He supported many local charitable organisations including the Children’s Convalescent Home, and he personally financed the total cost of restoring the Old Rectory House. His legacy is still to be felt today in the Old Town, as successive members of the Lawson Family continued their involvement in the local community. Until the latter part of the 20th century workers on the estate only paid nominal rents for their cottages, and this was extended to tradesmen and shopkeepers to ensure they remained in business to provide for the basic needs of the inhabitants. However, more recently with the rising costs of running the estate, properties have either been sold or rented out, often to newcomers, at their current market value. Edward Lawson died in 1916 and is buried in St Mary and All Saints churchyard. His tomb stands next to that of his son, Harry Lawson (the 2nd Lord Burnham), and is to be found at the foot of the church tower to the left of the main doorway.